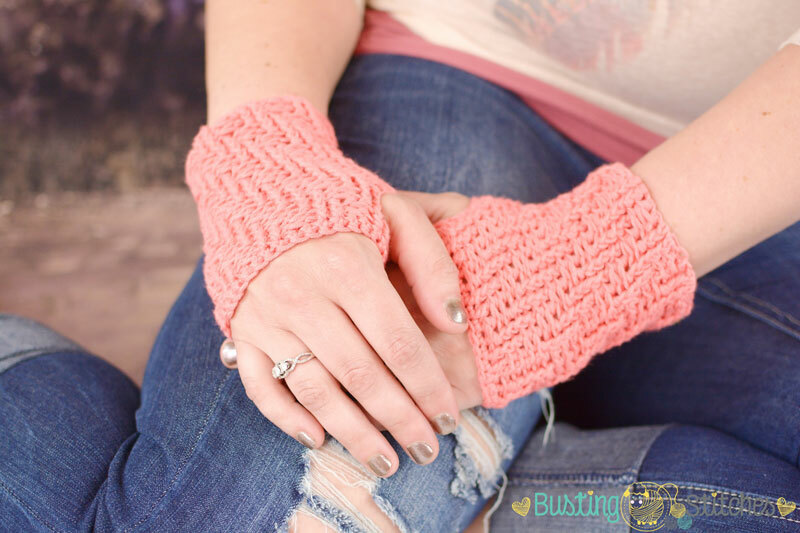 These pretty, textured fingerless gloves are the perfect, quick project for the upcoming Fall season. The way the stitches are worked creates a fun, spiral element making them interesting to work up, but also neat to look at! This pattern calls for Fine (2) Weight Yarn and size 4.5mm (G/7) crochet hook.